New York City is best know for iconic live music destinations like the Apollo Theater, Barclays Center, Carnegie Hall, Lincoln Center, Madison Square Garden and Radio City Music Hall. So why not experience live music in New York City from some of the City’s lesser known venues with this list of the City’s under-the-radar music venues. The City’s five boroughs are home to a collection of intimate venues that showcase top-notch talent and cater to music lovers of all ages and musical tastes. Cleopatra’s Needle: Cleopatra’s Needle is an Upper West Side hotspot for jazz enthusiasts. 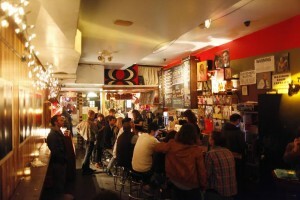 The jazz club restaurant hosts a selection of weekly live music performances and events, headlined by its Open Mic and Late Night Jam Session. Visitcleopatrasneedleny.com for more information. Hammerstein Ballroom at the Manhattan Center: Located in the Manhattan Center in Midtown, Hammerstein Ballroom is celebrated for its elegant design and production technology. The mid-size venue has a rich history of showcasing some of the world’s biggest music stars, including All Time Low, David Bowie, Gwen Stefani, Kylie Minogue, Paramore and Thirty Seconds to Mars. On April 2, French musician St. Germain will take the ballroom’s stage. For more information, visitmcstudios.com. 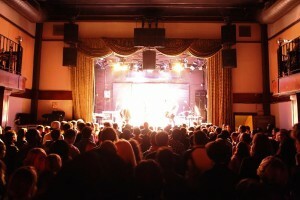 Highline Ballroom: The trendy Highline Chelsea ballroom presents a diverse slate of live music performances in genres ranging from R&B, metal and rock to pop, jazz and blues. For the spring lineup and to purchase tickets visithighlineballroom.com. PlayStation Theater: Formerly known as the Best Buy Theater, the 2,100-capacity PlayStation Theater hosts live concerts featuring performances by music artists from around the globe. On March 24, indie-pop artist Melanie Martinez will stop by the Times Square location to perform. For more upcoming music events, visitplaystationtheater.com. 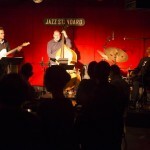 Smalls Jazz Club: The legendary club showcases rising talents in the New York City jazz scene. Groups like The Ari Hoenig Trio, The Justin Mullens Octet and The Ken Fowser Quintet will take the stage this March. Visitsmallslive.com for the club’s live performance schedule.